Considering the amount of luxury properties we get sent and see on a monthly basis I can safely say I’ve never seen anything like this. 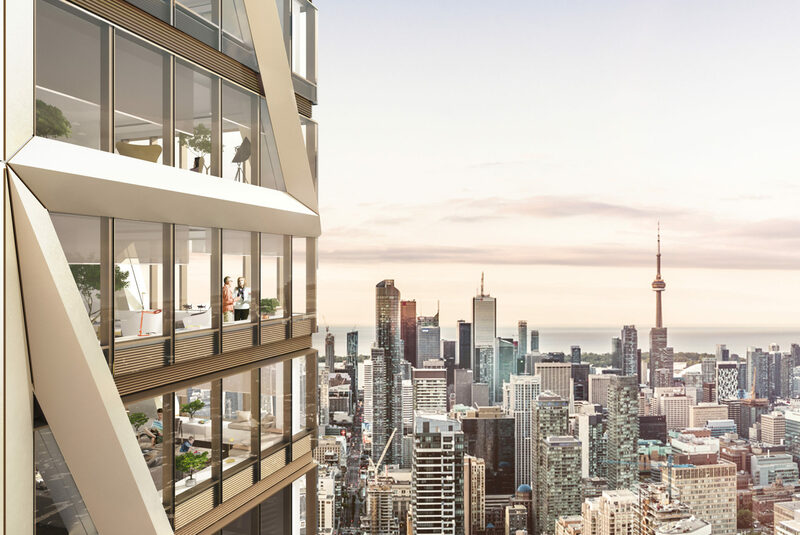 The One Bloor West penthouses are not built yet but the plans and layout are wee bit mind-boggling to say the least. 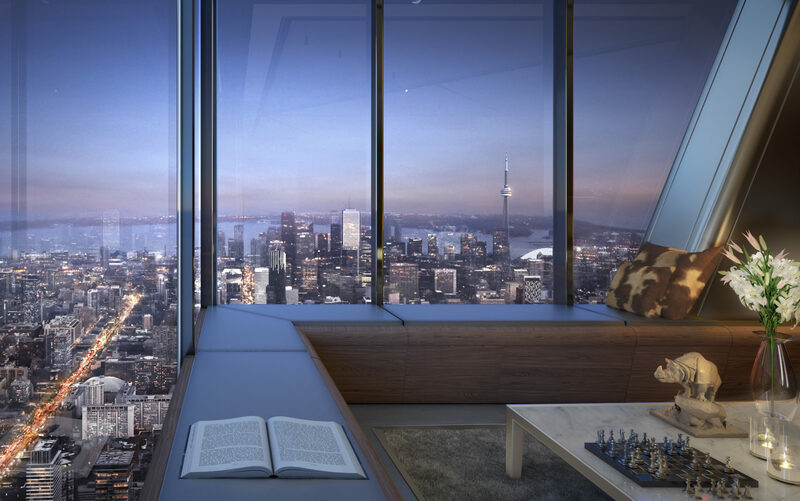 Canada’s tallest building without a doubt will have a penthouse view many will want. 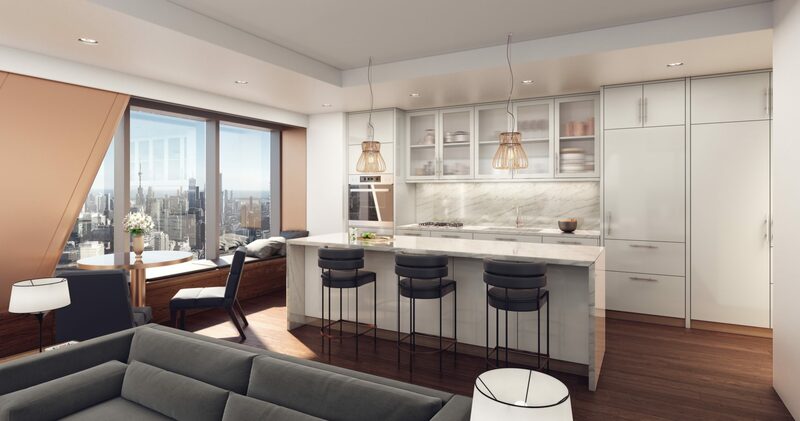 We’ll take a peek at the very few details they’ve beautifully laid out for us and explore the penthouses at One Bloor West that will surely shatter new sales records. Condo living isn’t for everyone, but for those that love it will surely want to take a peek. How much is this view worth..? 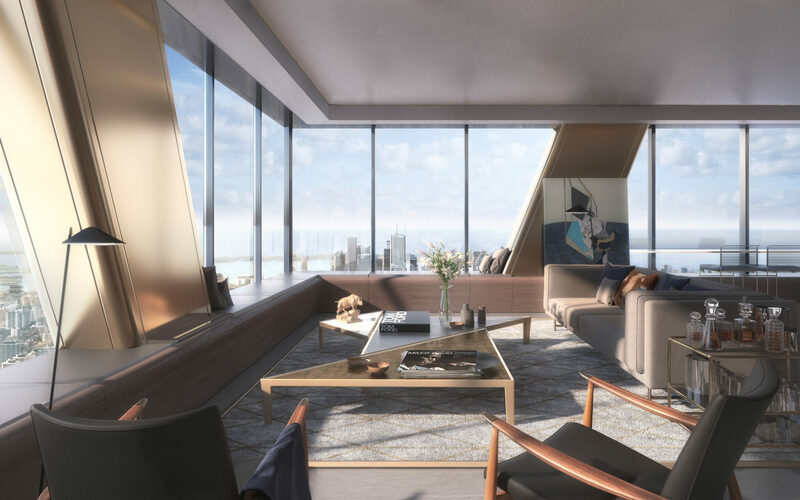 There will be two penthouse units in One Bloor West and the difference only being the views you face and a minuscule square footage difference. The mind blowing part is that they’re on four-fricking-levels with what has got to be the coolest rooftop terrace in Canada. You’ll have room for a hot tub, powder room, outdoor kitchen and dining and then some. 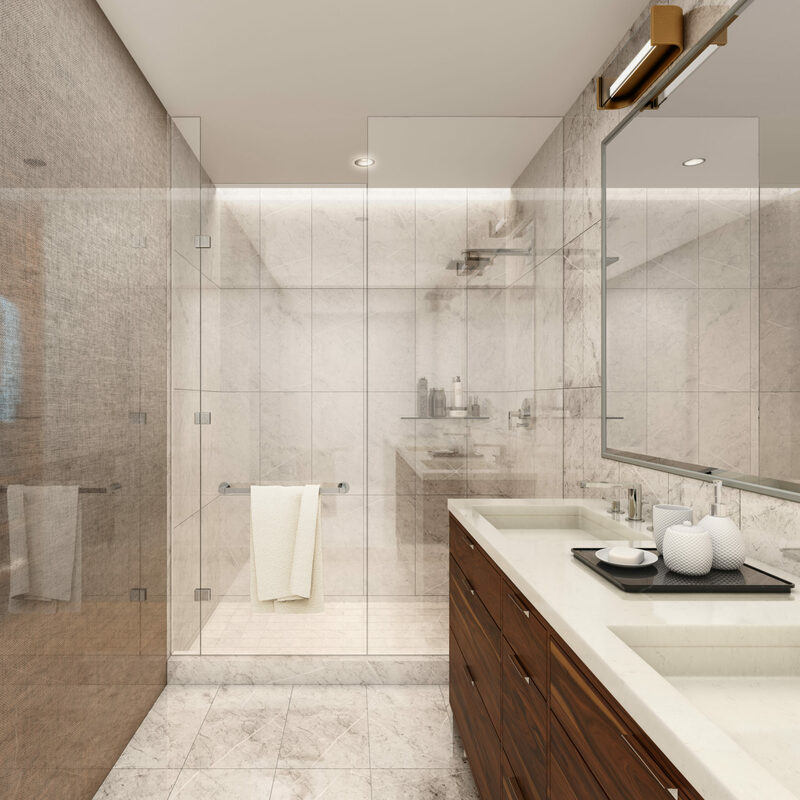 The One Bloor West penthouses will have three bedrooms with a den. 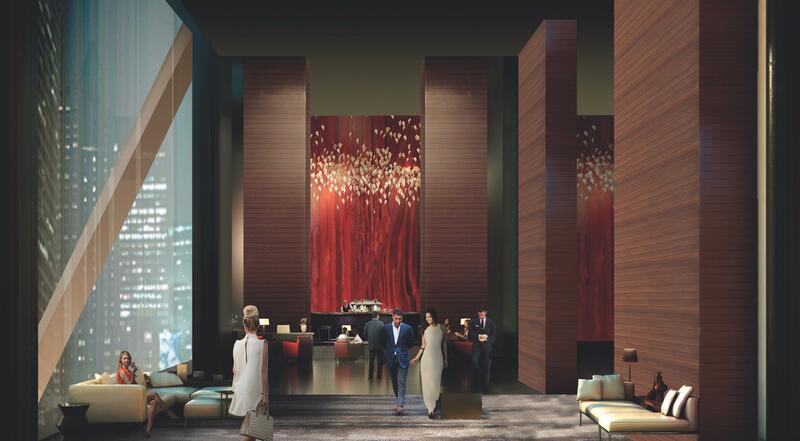 Penthouse unit 8201 will have 5,727 square feet of living space and 8202 will have 6,037. Right now there is only a bit of information on their webpage along with incredible mockups and more in depth unit information. 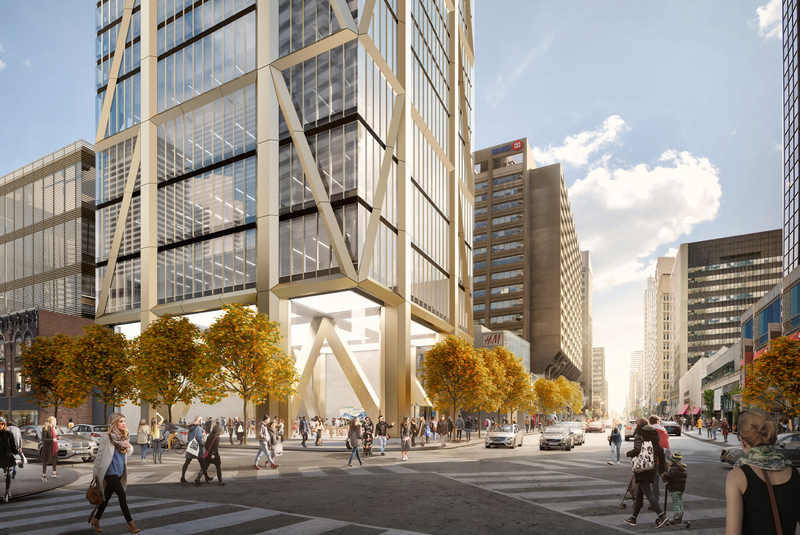 If you’d like a more intimate experience please register with One Bloor West or visit the presentation gallery at 181 Davenport Rd in Toronto from 10am to 7pm Mon-Fri and 10am to 6pm. 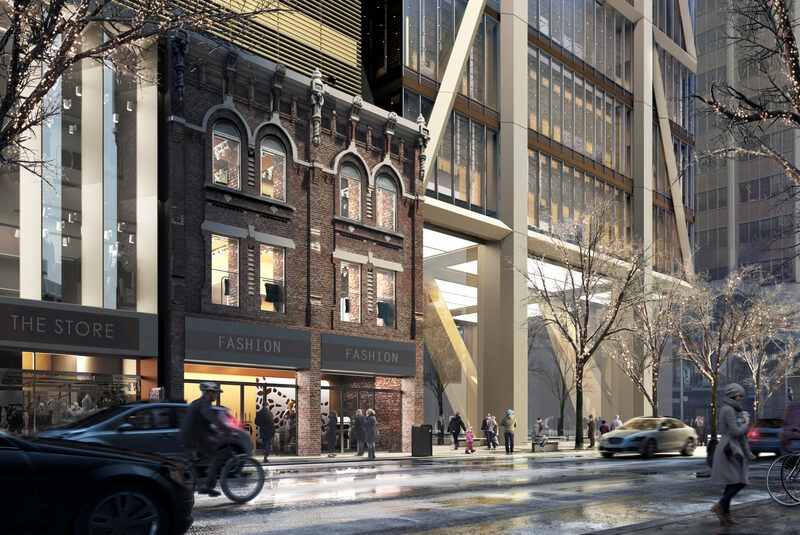 The building is currently under construction and with sales kicking off one can only guess what the One Bloor West penthouses will go for.